Serendipity! 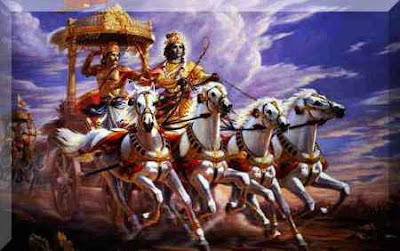 : MAHABHARATA : MYTH OR LEGEND? 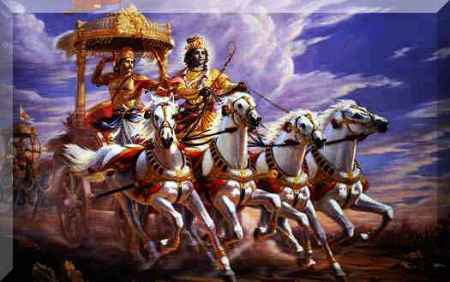 MAHABHARATA : MYTH OR LEGEND? 1) In Adi Parwa, Chapter 62, we find a mention that the history of Kings of India is being noted here. 2) In AdiParwa, Bhishma Parwa, Swargarohan Parwa, etc the author mentions time and again that ‘this is history’ . From this it can be concluded that the author had wanted to pen down history or else he could always have mentioned his work as a poem or a story or a play which he doesn’t. Nowhere in great pieces of literature do we find an author stating that his work is ‘history’. 3) During the days when MBH took place, poets were respected for their talent and were held in great esteem by the society. Hence if Vyaas had intended his work to be a poem, he would have proudly presented the MBH to society as a poem & would have gained immense popularity from it as its poet. However we find this is not the case. 4) It would be wrong to classify MBH as a poem just because it is in verse – form. In those days when knowledge was passed by word – of – mouth from one generation to the next, writing in verse form was popular for it enabled the writer as well as the reader to understand & by – heart & later pass on the knowledge to the generations to come. 5) Before the war begins, Vyaas tells Dhritarashtra: Sanjay will perfectly recite all that he sees on the battlefield. Even though the Kauravas will perish in battle, I will keep them alive forever by writing down about their lives & capturing them forever in History. (Bhishma Parwa Chapter 2). 6) We find entire family trees of many families in the MBH. These are mentioned in great details. No piece of literature ever gives much importance to such details Right from King Barhi upto the Pandavas, we find a mention of 51 generations. Not only are individual family trees given in great details, but also the various connections made between these families through marriage, enemity, etc is described in details. Such detailing is unnecessary in a poem. 7) The family lines mentioned in MBH match with those in Ramayan. If both are assumed to be poems, no self respecting poet will ever steal another poets piece of work. Especially not a man of Vyaas’s caliber. 8) Any play or story always has a central character, a hero. Also the total number of characters in any play or poem or story are limited. While reading a novel there is never the question of WHO is the hero of the story in the minds of the reader. However this question does present itself in the minds of those who read history. E.g: In the Indian war of Independence, who was the hero – was it Gandhiji, Nehru, Subhashchandra Bose, Tilak, Sawarkar?? They all had played prominent roles in their own rights. Same is the case with MBH. Its very difficult to call a single person the hero of MBH. 9) Which kingdom was established by whom & when is described in great details in the MBH. Even the lesser – known kings have been named along with the kingdoms they founded. 10) The characters in MBH are all neither good, not bad. They , unlike heroes in novels, behave like normal men & sometimes give in to temptations, anger, hatred, jealousy, etc. They are neither black nor white, but fall in the grey area. 11) The most significant point which points towards MBH being history and not a story is that Vyaas accepts being the illegitimate son. 12) The birth places, birthdates, years of many people are given in great details in the MBH. No novel ever provides such factual information which might bore some readers. In MBH we also find mention of why a particular king, sage, etc got a particular name. e.g: Vyaas was born on an island (Dweep) in the Yamuna, hence was named Dwaipanya. Later when he made the studies of Vedas easier by working on them, he was called Vyaas. 13) In all stories, important weapons & knowledge usually lies with either the hero or the villain. This is not the case in MBH. E.g: King Vasu had an aircraft & he used to roam about in it. We do not find much mention of Vasu in MBH, but it is a part of history & hence it has been noted down. Vyaas could have given the aircraft to Duryodhan or Arjun. But it remained with a king who is of not great significance as far as the MBH war goes. Bhagdatta had the Vaishnavastra. This would have looked more appropriate in the hands of Krishna’s friend, Arjun, but that was not the case, it was Bhagdatta who had this weapon & not Arjun. 14) The types of weapons mentioned in the Ramayan & MBH are much similar. It is highly unlikely that two great poet – sages will plagiarize each others work. 15) The number of arrows shot by each warrior & the weapon used to kill this & that warrior are described in such lengths that any average reader would get bored. But since this is history & not some story whose aim is to entertain, the writer has penned down all that had happened. 16) The entire MBH is filled with unique & strange characters & incidents. It is almost impossible that a single human mind can build up such a big story based on his imaginings alone. 17) Geography is mentioned in great details & the descriptions of various places can be related to even today. 18) Dates & time have been mentioned wherever possible. We do not find such things mentioned in novels or poems. 19) Most novels have beautiful descriptions of the surroundings, the grandeur of houses, the beauty of nature, the riches, etc. All these are missing in the MBH. The descriptions are more fact based than being descriptive. 20) In Adiparva chapter 62, it is mentioned that Vyaas completed the writing of MBH in 3yrs. In no novel do we find such mention of the time it took the author to finish his work. 22) In the writings of the Greek lawyer, Megasthenis, we find mention of the names of Krishna, Pandav & Mathura. Megasthenis was at the court of Chandragupta Maurya & he had recorded that Chandragupta Maurya came 138 generations after Krishna. 23) Probably the most important evidence are the remains of Dwaraka found during excavation. The Dwarka described in MBH matches a great deal with the one found beneath the sea. पद्धतीने मांडण्यात तुझा हातखंडा आहे. विवेचनात्मक तरीही रोचक आणि मुद्देसूद. महाभारतापसून शिकण्यासारख खूप काही आहे.